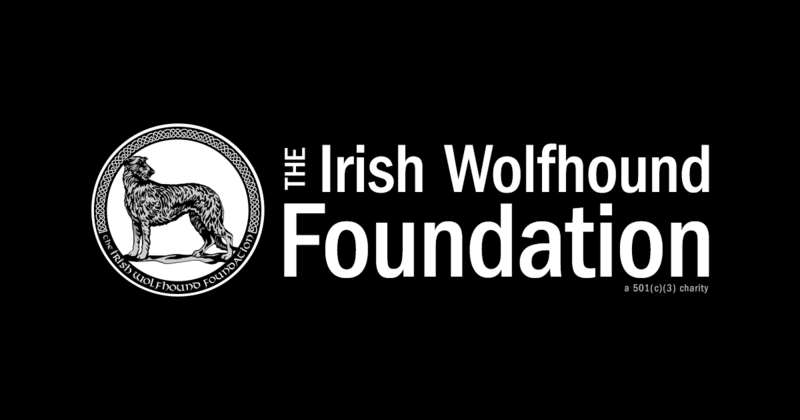 The Irish Wolfhound Foundation sponsors heart screening for heart disease research at Irish Wolfhound specialty shows in the US and Canada. Screening tests offered include EKG’s and echocardiograms. Participating hounds must be 2 years of age or older. Pre-registration is required so things will go smoothly at the show site. You can preregister and make a donation HERE. You can also register here without making a donation. Oy you may call Frances Abrams at 937-371-3609 for forms. Online registration is preferred. You can save time at the show site by filling out your LCS II form online, too. EKGs (recommended annually for all IWs) are suggested at $60 with a cardiologist evaluation of the EKG and the option to have your hound's results individually registered with OFA. Echocardiograms (if indicated), are suggested at $175 per hound if the hound is between 2 and 7 years old, and $100 for hounds who are 8 or older OR hounds of any age who have been diagnosed with Atrial Fibrillation. Echoes also include an EKG. All tests include auscultation by a Board-certified cardiologist. Screening costs are subsidized by the IWF, and all data collected will be used by the Foundation to support ongoing heart studies. Additional donations to the Foundation are much appreciated and wisely used to fund our mission of Health, Education, & Rescue. Preregistration will assure that you have a time and date assigned for testing. You will get an acknowledgement by email. Forms will be prepared for your dog and brought to the show site. There may be some slight changes in time due to the show schedule. Please let Frances know as soon as possible if you cannot make your appointment. The IWF will also be drawing blood for the IWF DNA bank. We will have copies of our blood draw consent form available. We would be grateful if your hound can donate a small blood sample at the specialty if they have not done so already. In addition to pre-registering, you can also save some time at the clinic by filling out the LCSII form and, if your hound has never given blood before for our DNA bank, the venipuncture consent form. The pre-registration and LCSII forms send data directly to us; the venipuncture form you'll need to fill out online, print and sign and bring it to the clinic. See our FAQ, or contact Frances Abrams at iwfhealth@gmail.com or 937-371-3609. Pre-registration deadline July 26, 2019. All Irish Wolfhounds 2 years of age or older. Heart disease in Irish Wolfhounds is often treatable if detected early. Getting your IW's heart screened is important for everyone, not just breeders! All adult Irish Wolfhounds should be screened annually. Is there an age requirement for screening? Yes, your hound must be 2 years or older, since most heart disease in Irish Wolfhounds is not due to congenital defects, but rather develops as the hound ages. What's an echocardiogram? How does it differ from an EKG? An echocardiogram (or "echo") is painless and non-invasive, and allows the cardiologist to visualize and assess the overall health of the heart via ultrasonic imaging. Some of the things an echo can show are leakage of blood through the valves, the size of the heart, abnormal communications between the left and the right sides of the heart, and heart muscle contractility. An EKG (or electrocardiogram) is a paper or digital recording of the electrical signals in the heart. It is used to determine heart rate, heart rhythm and other information regarding the heart's condition. An annual EKG is one of the requirements for dogs in OFA's CHIC (Canine Health Information Center) program. What's the difference between and EKG and an ECG? There isn't one. Either abbreviation can be used to refer to an electrocardiogram, where leads are attached to the dog in several places to measure the electrical activity in the heart. EKG is probably the more frequently used term, but ECG is used more by cardiologists. What will I need to do at the show? Check on the timing of your appointment, as it may change slightly during the show. Come to the heart screening area about 10 minutes before your assigned time. If you haven't filled out an LCSII health and diet form online you can pick one up and complete it when you arrive. An EKG and auscultation takes about 10 minutes. Allow 15-20 minutes for EKG, auscultation and echo. How will testing affect my dog? Other than a small amount of pinching, there is no pain involved, and most dogs patiently tolerate the procedures. If you have an echocardiogram done, the coat is wiped clean with alcohol after testing and the dog should be dry and ready to show within a few minutes. Can I stay with my dog during screening? Absolutely. All testing is done in a standing position with the owner or a designated handler present to keep the dog as calm as possible. Do you always need a blood sample from my dog? We only request a blood sample if the dog is participating in one of our studies for the first time. With your permission, the IWF collects small amounts of blood for research. This blood is saved in the IWF DNA databank for future use. Can I get my IW with heart disease treated at a screening clinic? No. The electrocardiograms (a.k.a., EKGs or ECGs) and echocardiograms provided at dog shows is meant as a screening examination for IWH type cardiomyopathy for either breeding stock or pet IWs and to support on-going studies of the IWF. If your IW has already been diagnosed with heart disease, or you suspect that it may be affected, you should establish a relationship with a local cardiologist to manage your dog's heart disease. Can I sign up at the show? Sometimes, if there are time slots available. However it greatly simplifies things if the online signup process is used. Will my dog's results be made public? No, not unless you choose to register your dog's individual results publically with OFA. We do send data to the OFA/ACVIM Advanced Cardiac Database (ACA) for statistical purposes. As part of a clinic, the ACA form is completed and the basic information is submitted to the statistical database. That data is never published for individual dogs without owner consent. If you wish to publish your dog's results you will need to mark the completed ACA screening form accordingly, sign it, and send it in to OFA with a registration fee. Note that only published results are acceptable for a CHIC (Canine Health Information Center) designation. 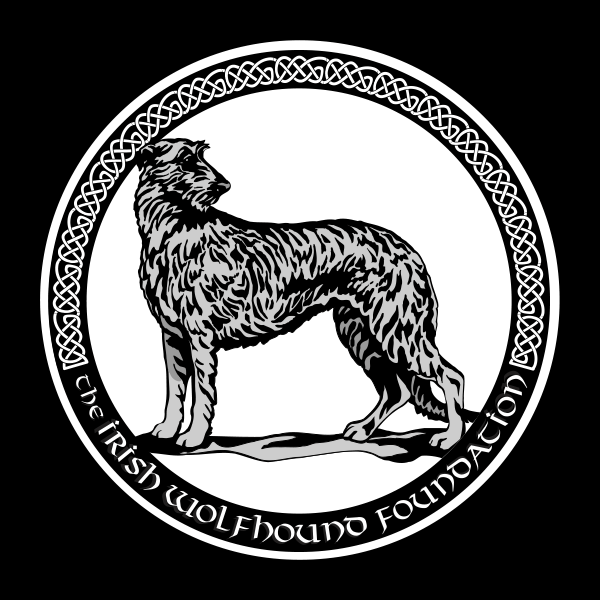 The purpose of the Foundation is to promote the appreciation, knowledge, and understanding of Irish Wolfhounds by raising and allocating funds for research, education, and rescue. © 2019 The Irish Wolfhound Foundation. All Rights Reserved.